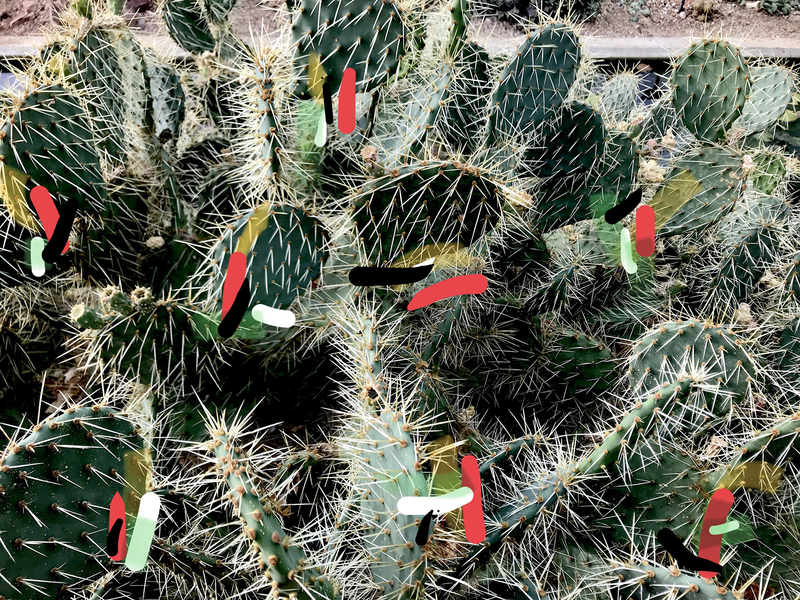 For the latest instalment in my ongoing series of interviews I spoke to London based artist Bindi Vora. Bindi’s work interrogates contemporary photography, utilising various analogue processes and often creating vast spaces of colour, light and subtle detail that contemplate ideas of perception and representation of the photographic print. Bindi has exhibited both in the UK and in Europe, is a Visiting Lecturer at the University of Westminster on the BA Photography course and is the Curatorial Project Manager at Autograph, London. I would like to start by talking about your publication, In the blue light we failed. I am very interested in this idea being able to risks, and then presenting those failures as part of your practice. Could you talk me through your relationship to photography and your thoughts on the impermanence of the medium? The concept of failure within art and artistic practices is really interesting. There’s this constant strive for perfection and this sense of an impossible reality of not quite being able to reach whatever “it” is. I think, for me, whenever I work on a project, I tend to collect a range of different materials. Even if an image goes wrong, whether it’s a physical image or a negative, or something’s not quite right about it, I’ve always kept it, I have a little stash of negatives and prints in boxes. I’ve never quite had the heart to throw it away. In the blue light we failed came about a year or so after I’d finished university. I suddenly found myself without a network of people around me to support the work I wanted to produce or the ideas I may have had. It was just me and my work, and I didn’t quite know where I was going with it. I think up until this point I didn’t really have the focus to begin making work again. I feel like I was a bit burnt out in some ways. It had been quite an intense period of three years where you’re constantly making work and thinking. It was only after I left that I got a moment of reflection. This was definitely one of those works where I just began sifting through different materials; it was almost like a happenstance moment where you’re looking at the images and these negatives in a completely different way and I began to see something quite beautiful develop. It wasn’t so much that I remembered why something had failed, it was more the realisation that these images were doing something else upon a second look; the tones where maybe the film had become stuck somewhere along the roll as they were being developed, or the Polaroid hadn’t quite turned out the way it needed to and you just get this spark of colour. I was looking at them in a completely different way. I think that’s what made it more refreshing. It was less about failure being an end point of the actual project they may have originated from, but more about how these failures had led to more experimentation with the works that had eventually been made. The context and meaning had changed. I was thinking a lot about the way light and photography work together. It was definitely one of those epiphany moments that I had throughout the projects, recalling, remembering and rethinking the sequence of the images. It’s interesting how, over time, elements of your past works have changed or new ideas have emerged. I’ve realised that happens a lot within my practice. Often as a starting point, I might look at some past images or ideas from previous projects that may not have materialised and just see something a bit different within it. I will then use that as a starting point or the springboard for my next piece of work. I think with this particular publication, it was one of the first publications that I decided to make multiple copies of. I self-published and produced it myself, mainly because I had this desire to share the idea of failure with people. All the images that you see inside the book, they all keep their original size, so a 35mm negative is 35mm negative in the book; a Polaroid is the actual size of a Polaroid image. These were the parameters of archiving that I had set myself, which then informed the layout within the book. On the front cover of the book I placed an unexposed photographic print. 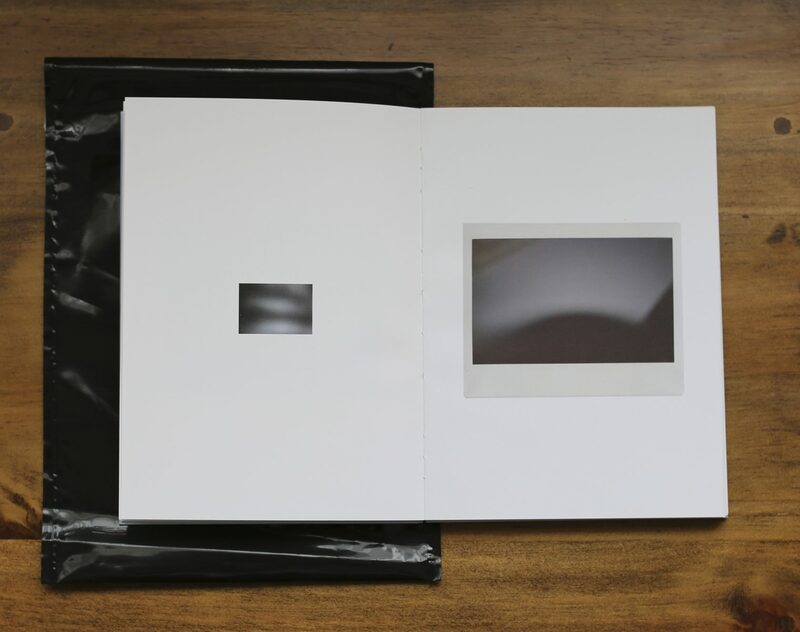 The book would then be wrapped in a darkroom bag, with the idea being, when you opened it and flicked through the book, your hands and the light begin to react with unexposed image. I had so many people basically refuse to open the book as they didn’t want to expose the photograph. I mean, that’s the whole point. You’re meant to open the book and then you’re meant to contribute to the failure. People are engaging with the work but still, they maintain this ‘it has to remain perfect’ thought process. It’s really fascinating. I’ve tried to explain that it’s about taking away that perfection and that preciousness of image making and throwing that aside for a moment. It made my process and way of thinking about my work change and helped moving away from this rut that I was in. How do you feel attitudes toward photography have changed in recent years? What is the role of photography and how do you see artists using the medium today? I think, as we all know, the breadth of photography as a medium and what we recognise it to be, is constantly changing and evolving. There’s no one way of looking at the medium, everyone dissects and takes something different away. At the moment I am really intrigued with the way sculpture, for example, can intersect and influence the way that photography is and can become a tool; a process and part of this final outcome. You see a lot of artists now working with different elements of the photographic medium. Sarah Sze who recently had a show at Victoria Miro, for example, utilises photography and video within sculpture and installation. The work merges and dissolves into one another. In some ways that’s where my interests are. Not necessarily where photography is going but where I’ve seen a bigger shift, with people taking a lot more risks. I think that’s what makes it much more exciting. There’s no prescribed boundaries for photography, it can react to another medium and create a hybrid and evolves, changes and morphs. An example can be seen with the exhibition Clare Grafik curated at The Photographers’ Gallery Double Take: Drawing and Photography exhibition, for me that opened a dialogue to see how the medium of photography can intersect with other mediums within the same space. In one show you had voices from Tacita Dean to László Moholy-Nagy to Nancy Hellabrand. I worked at The Photographers’ Gallery for around five years, some of which was during my BA and beyond and it had a profound influence on me and my work. I started off working with Brett Rogers as her PA and that’s how I developed a really concrete sense of how an institution operated. She’s quite an amazing person in a way. During my final year of my BA I was still really compelled by vernacular photography and TPG was working with Fiona Tan on a new iteration of Vox Populi: London – a group portrait of a city. She invited a range of Londoners to loan her their personal photo albums, from which she spent time looking and selecting photographs that would end up forming the constellation of 264 images. This body of work and the subsequent exhibition informed the basis for my thesis. In terms of the materiality of your work, there seems to be a real admiration for the materials you are using; the paper, and the print, as well as the conventions of photography; light, and time. I’m particularly thinking of the work Lustre. This analogue to digital shift in photography has created an ongoing dialogue amongst practitioner and theorists and how photographic practice is defined today. Could you tell me a bit more about your relationship to analogue and digital processes and how this features in your work? I have been very interested in the way photography has changed in response to the advancement of digital technologies. There is a real celebration of the analogue in your work. Would you say you are responding to this? Lustre is a really interesting body of work which I completed in my final year at university; the work developed out of a process of experimentation. 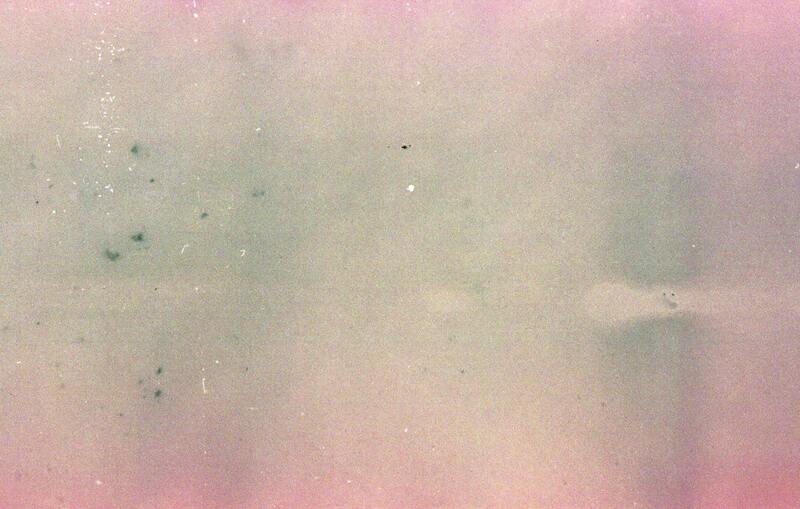 For example, some of the Polaroid’s you see in the work In the blue light we failed were the starting point of Lustre. These failings and strange occurrences happened when I started playing and experimenting with the camera. There’s an interesting story attached with this work that I feel is important to share as it formed the whole concept for the work. I was working on an exhibition at the time, it was probably about an hour before the opening of this show and, I don’t even know how it happened but one of the prints just folded over, ripped and fell off the wall. There was of course a panic from everyone trying to figure out what we were going to do. I remember people saying, we’re about to open, can we get another one produced and printed? The response was like, yes we can – that print went straight to the bin and another one was printed. I found that absolutely fascinating as the emphasis we place upon photographs is so high and to just throw it away seems absolutely crazy. That’s how I started Lustre. 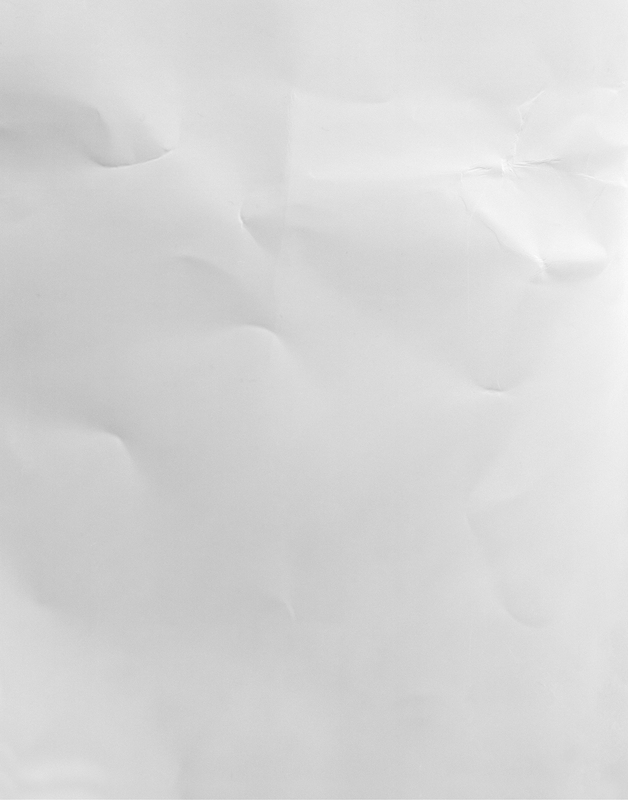 I spent six months in the studio with this one sheet of pure white photographic paper / surface. I was just there bending and manipulating it with my hands, positioning the paper and then photographing it on a Large Format camera and using the bellows to disrupt the plane. I think there’s about 20 or so images in the series and they’re all slightly different. Lustre was probably the project where I really began to think about that material surface. If it’s so easy to disrupt the surface through gestural movements, then what does that mean for image making, how does that correlate with what I’m interested in? I think these questions, for this body of work and subsequent projects, has definitely been recurring within my work, as to how the surface of the image could be pushed and approached. It’s an interesting interception this idea that you can manipulate a printing process so each image is completely different. I had a lot of tutors and peers around me that would have discussions about what this type of photographic image making was. For this body of work I was really against using any form of digital technology, I was quite precious about it as I had spent a long time in the studio making the work and then in the darkroom printing – but something wasn’t quite right. I was encouraged to keep experimenting and pushing these concepts. In the end the work was produced as a digital image with some digital retouching to remove dust marks etc – and the scale at which it was realised was so different to what I had first imagined. I do think this idea of the artists hand is interesting though, even when using a tool like photoshop. You’re still using your hand to remove the dust. You might not be physically removing it but you are using your hand in the same way you would to manipulate the paper. That has certainly changed my way of thinking. Digital is not a replacement in any way in my practice but it can be used as a tool to support the final outcome. I think in later projects I’ve come back to using it as a tool and I don’t feel so guilty for it. It’s nice to hear you talk about using digital methodologies as an extension of the artists hand. It’s an interesting way of interacting with digital tools. Definitely. For example, I remember coming across works by Wolfgang Tillmans and his use of a scanning bed / photocopier as a way of photographing. He is utilised the process of photography as a tool. These concepts of “tools” are certainly what I’m thinking about when I make work. I would like to ask you about white in the sea and the volume shown as part of A Shade of Pale at 180 The Strand. There is a real interplay between photography and sculpture within this work. How is the viewer or audience member considered through this particular space? What was it like working in a building like 180 The Strand? I have been experimenting more and more with sculpture as a way of bringing something out from the flat form and placing it within a space as it transforms the way you see or experience the work. The opportunity to show white in the sea came at a really interesting juncture. I hadn’t really thought about ever showing this work and it’s also never really been seen before. It was almost like starting from scratch. Carrie Scott, the curator of that show was really encouraging and I think that made a big difference. We created an open dialogue with each other and the work, which was really fortunate, she never really said no unless it just didn’t work. Carrie provided a lot of freedom around the show, which never in my wildest dreams would I have been able to achieve with this particular installation if it hadn’t been for her support. The way the work is displayed is similar to how I made the work. I would stand in front of the sea and look at this infinite horizon. I would meander across the beach, across the rocks, walking along and seeing what happens with the light and how it shifts over a day. I really wanted to give a sense of that experience to the audience that was going to be walking through the work. Those plinths gave it a presence in the space that removed it from the wall. I wanted the audience to stand in front of the work in the same way I was looking at the sea and the horizon and to implement these actions into the work itself. It was a real risk. I had no idea what the outcome would be like. I designed the plinths and gave them over to Carrie. She took care of everything else. The only thing I signed off on was the prints. Installing the work on the Friday before the show was the first time I saw the plinths. I was blown away with how they turned out. It is still an installation I am processing. The work is an ongoing series. I’ve always had this urge to make work but not quite know where it’s going to end up. It was the first time, in a long time I was just like, okay I’m not going to troll through my archive. I’m going to go with my camera and see what happens. I’ve always been really intrigued with the sea and what the sea can mean. Each volume is of a different place either across Britain or abroad, depending on where I’ve been and if I happened to encounter the sea. I thought I would stop at 10 volumes, I just can’t stop. I’ve got another couple of rolls of films to develop and process. As I am sure like many others, I find it quite meditative being in front of the sea and in the presence of water to be a way of resetting. Could I ask about the different colours within the work? 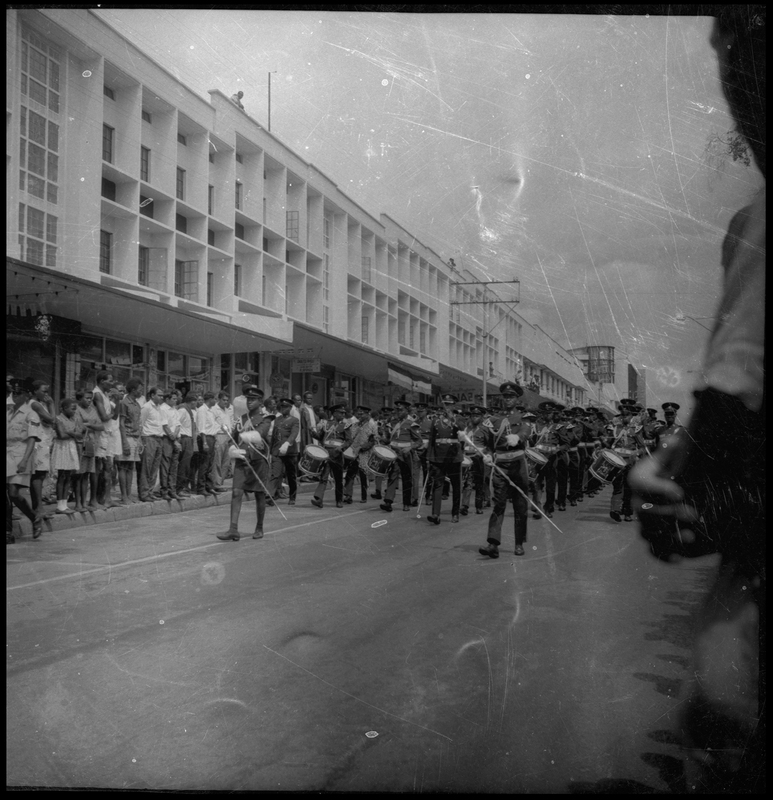 Each image is photographed on film and then processed and developed. In the same way as Lustre, I wanted to incorporate a digital element because of this idea that the light patterns are changing so frequently. What I was seeing is something I wanted to translate into the final image. After scanning them and navigating the image I noticed these amazing pixels of pigments embedded into the image. From afar, you just see the whole image but when you’re up close, there are so many different colours, so I began a process of sifting through the sea to find the lightest pigment. I then applied a wash of that colour to the whole image. The only thing that might change and differ between each image is the opacity. The red, for example, is the colour that came from the light but nevertheless seeing the image beneath it was important. What you saw at The Strand was also an amalgamation of all of the series. It wasn’t just one body of work. It was elements of the different series. I felt it was quite important not to tell a chronology or exactly where these images were taken. With the text, I tried to leave it as open as possible. I feel it allowed people to just think about where these places could be. Is it all from the same place or is it all different? Do you recognise it? Do you not? Is that important? Is it not? I think it raised more questions about the work and future projects, as well as to how I approached that final element where you’re presenting it to an audience. I want to go back slightly as there was something you mentioned about this idea of an archive when talking about In the blue light we failed. Would you say white in the sea is also a way of archiving, preserving or capturing a memory? I haven’t quite thought about it like that. I don’t know. I always feel, each time, it’s the start of something new. Maybe it’s not. I don’t think I’ve ever thought about it in that way, that it’s an archive. I guess it’s an archive of that particular moment or time. I have always thought about this work in a slightly different way to In the blue light we failed because the works were made with purpose as opposed to going back to past material. But, I think its an interesting analogy and something to consider. I spoke to an artist recently who had described a situation where she had made a piece of work as a direct response to something she had seen online. She said it was a relief to make a piece of work so spontaneously. Maybe this feels a bit like this for you? To make work in a very instantaneous way? Definitely. The traditional way I tend to work is I have ideas or things that I’m interested in; it often takes a long time and a lot of energy to think about what it could be. Whereas, white in the sea, there’s already 10 volumes of it and I only started in 2010. I feel Instagram has become this really interesting hub of sharing images and networking; but also a consumption of rapidity. I found I had taken all these images on my mobile phone. I just became interested in pairings. 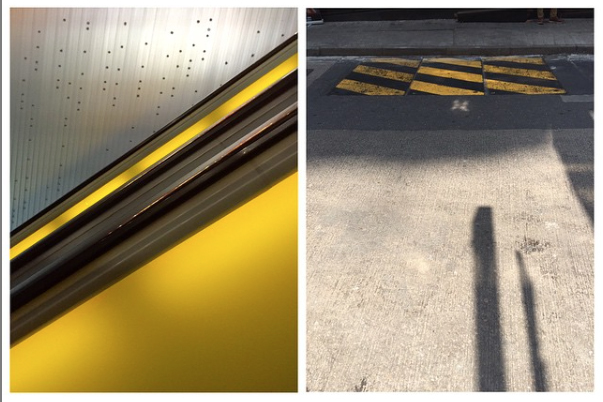 I began to see these relationships between particular images on my phone so I started posting a daily diptych. I would post one in the morning and then in the evening. It was a way of me just making something in a very instantaneous way that would only live on that platform. I think that’s what makes a difference for me. It doesn’t have to be this arduous process of making work. It can be really spontaneous. As with many people in the arts we all tend to wear multiple hats. Could I ask how you navigate the art world in this way? I am interested in the balance or shift between artist and curator. Do you see these as separate roles? My practice and my professional hats are two very different things. I don’t think there has ever been a point where I’ve merged the two in any way. I’d feel uncomfortable. I try and keep the two quite separate. My practice is not something that has happened because of the industry I work in. I have worked hard for each aspect and the exhibitions or shows have come along at different moments. The people that know me in a professional way, may not necessarily know that I’m an artist and vice versa. I’m quite happy with the balance. It works for me. I do think the correlation between artist and curator is definitely evolving and can often merge. Ultimately to bring together works, conversations, ideas and artists into one dialogue and space and present this to your audience successfully is what everyone strives to achieve. I would like to ask you about the sculptural work Homage to GB. How did you go about making this? You showed the work at The Photographers’ Gallery recently? The showing of that work literally happened by chance and was part of the Hyperanalogue Geekender, a weekend festival exploring analogue photography in this digital world. At the point where I was invited to show the work, I had probably only just finished a week prior – it was a good opportunity to place the work in a space straight away and see what would happen. It was a sculptural work and a really different way of thinking about my practice from previous works that have been made (and occurred before the installation at The Strand). There was a really different sense of thinking about what the work could be. Actually, it’d been three to five years in the making. It was a really long process. It went through so many different identities. I think it went from being a block of images that were then scanned into a flat image; to the actual physical images themselves and thinking about the way that George Blakely had originally made his sculpture and even a digital outcome at one point. Before finally coming back round to being a sculptural object. I thought it had to be about the actual photographic image. I never thought that it could be something else. The work by George Blakely was formed of a cubic foot of photographs, it was a huge sculpture with this mammoth presence within the space. I remember seeing it in a book and was really intrigued by it but when I began to research the work and his practice, there wasn’t that much information so I decided to unpick some of my own ideas around the mystery of this work. I had read that George Blakely had worked in a photographic lab collecting all these unused images that were probably going to be thrown away or were heading to a landfill; this was in Florida in ’70s. You can imagine the amount of people that had cameras and were photographing, it was all analogue at that point. I really related because when I was studying at school, I had a part-time job working in a photo lab as well. Those are “dark days” that I don’t like to talk about but that experience definitely had some effect on me and my practice. I used to get people coming in with their roles of film. If any of the machines failed in some way, you’d just be throwing hundreds of images in the bin. 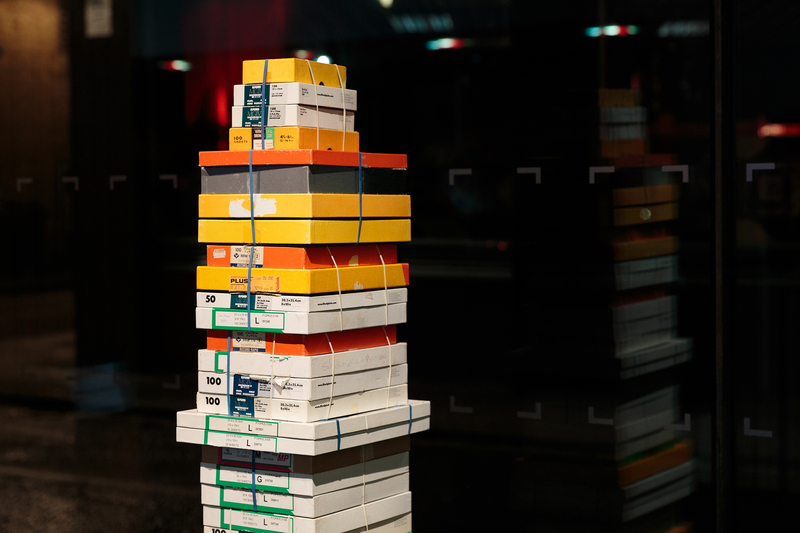 The sheer amount of photographic paper on rolls that you would to process and put through – such a waste. George Blakely had decided to turn his experience into something very beautiful and very present. Then almost five years later I found all these photographic boxes that I had unconsciously been collecting. The work became about this indexical reference to what was in the box and not so much about the actual photograph itself. I would look at the way people had used them, either to store their prints or label them in a particular way. I began doing call-outs and asking people for their boxes. The response, most importantly, highlighted that a lot of people were still using them to store prints and didn’t want to give them away. Has the work come to an end or do you feel there is another iteration still to explore? Well, some of the boxes actually contained photographic paper, very old photographic paper, which I’ve begun looking at in relation to a new body work. I’m also looking at some of the really old work I was making about vernacular photography and how this fits in. Thinking about this ideas of creating ‘rocks’, almost, and having rock-solid sculptures that are made up of photographic paper and what that looks like. How that feels and what that means. If you think about rocks and solidness, it’s something that’s unbreakable, untouchable. Then if you think about it with vernacular photography or family photography and this notion of a unit being rock solid that’s not always the case because not everything is rock solid in that sense. It has this two-prong meaning, which I’m interested in going back to and exploring a bit more. It’s not about the actual content of the image, it’s about what that means within this context. 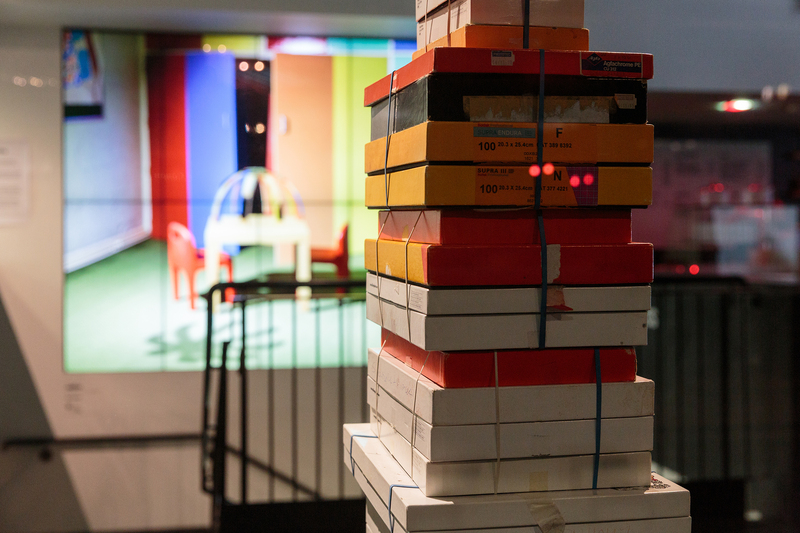 Could you talk to me about this idea of your ‘personal archive’ and the collecting of images? Your early work focuses on identity, memory and family, these are quite predominant subject matters in your work from 2010 – 2012. Are there still elements of these subjects within your work today? You pay homage to your family and photography, is there a strong link to this idea of a personal archive for both yourself and for photography? Tracing Heritage and Roots through Cultural Transformation was about looking at my roots and my background. I first began taking pictures when I was quite young as I had this real fascination for capturing my family and moments on camera. It also fascinated me that I could then take these to the local chemist and have these images produced and flicking through to see whether what I saw when I held the camera and translated into the image frame. The real shift for me was on my 10th birthday, I was given a Polaroid camera. It was at that time when Polaroid was at its ultimate height. I just remember being so precious about having this camera because the film was so expensive, as it still is today. You’d only get 10 shots per cartridge. It was about really thinking when and how to take a picture. I think that was one of the first moments that I had begun thinking about image making and framing. Obviously, I hadn’t realised how much of an effect it had on me. 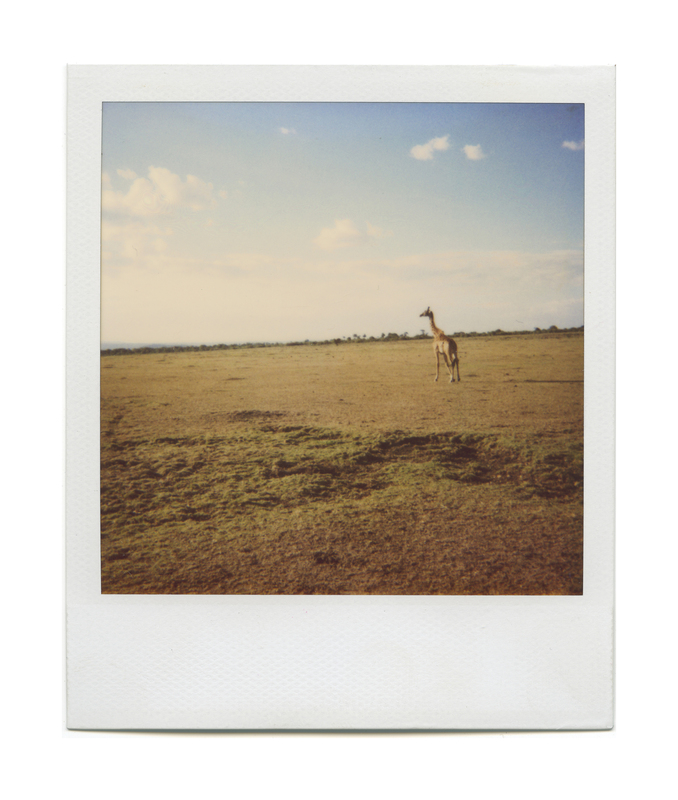 In 2010, when I was at University of the Arts London doing an Art and Design degree there, I remember finding these images again, these Polaroids. They’d actually been of a family holiday in Kenya. 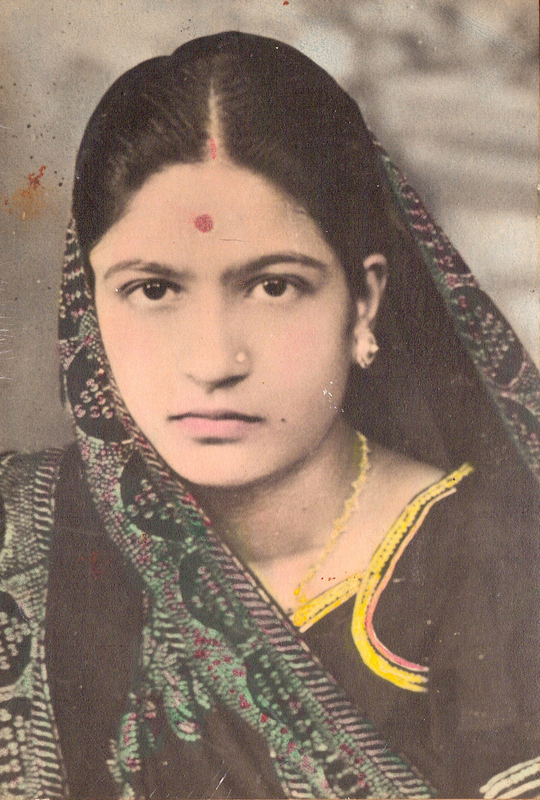 Looking at these images again and seeing my mum’s side of the family was really incredible. I began to delve a little deeper into my family history. That was the first time I started to think of my work in relation to an archive. That project was really, I think, profound in some ways because that’s the moment I realised my grandfather was a photographer and I’d never known that. No one had ever thought, in all this time to actually mention this to me. I remember my mum telling me that he had made a darkroom at home. He set up a small studio for the neighbourhood, other families would come over. There was that real sense of community in Africa, in the way that they lived and grew up, everyone was a neighbour. We happened to be going to Nairobi to see him and I remember him pulling out all these albums and these amazing images. They were absolutely stunning. That was really special because he was speaking about these moments and these times of growing up, not only during the regime in Uganda and the displacement that followed but also what that meant when they moved to Kenya. How he had so many different jobs just to make ends meet for the family. Some of those jobs involved being a photographer, an electrician, a sound engineer and a repairman. He is an influential person to me, which definitely made me think about why I was studying photography or why I wanted to study photography. I think that sense in some ways of archiving within my work is still there. I think a lot of projects often start by looking back, seeing what’s there and discovering something different. Even if there’s no overt reference to that initial discovery as the project develops, there is a definite residue of this beginning. Is there anybody else creative in your family? On my dad’s side, they’re not creative whatsoever, but actually, everyone on my mum’s side is; my sister is an interior designer, two of my aunts are florists, one is a graphic designer. There’s so many of us that are doing creative things. I think it’s just in our blood in some ways. You have contributed to panels with Fast Forward: Women in Photography, as well as the Art + Feminisim Wikipedia Edit-a-thon. These are particularly important platforms helping to make a shift in the representation of women artists. What are your thoughts on the representation of women artists nowadays? And, if this is something you have thought about, what the arts sector needs to do to represent women fairly? Vocally, everyone comes across like they’re doing something. I guess it’s no secret, but there is definitely a lack of women being represented. It’s not even women in institutions, because I think there’s a lot of women working within institutions, it’s seems to be artists and lack of seeing them. When I first started studying photography in school, there weren’t these forums or these spaces like we have now where we could be honest and discursive and think about, what does this lack of space actually mean for us, how do we tackle that together and how do we move forward? It’s a tricky one, because being a woman in the arts, I see it from both sides and it can be hard subject to navigate and find a voice. I feel like in some ways I’ve been incredibly lucky and fortunate to be surrounded by educators, colleagues and friends that I really respect, but I’ve also gained something from; this coupled with my upbringing where I was raised to think my capabilities were no different to anyone else is of course imperative. I had an amazing high school photography teacher, Martina Schmid, who’s a very dear friend of mine now. She was really, I think, imperative in setting out this idea of what photography can be. She used to take us to these amazing exhibitions just to think about the medium beyond snapping a photograph and exploring what it actually can mean to be a photographer. That was really, I think, fundamental for my work. I remember my mum saying that she never really took me to see shows or galleries so didn’t understand how I become so embedded and interested art. It’s definitely because of Martina. At university I had another tutor, Eugenie Shinkle who, again, was really encouraging of my work. In some ways, Lustre was created because of a dialogue with her. She would push me to think about my work in a really different way and question things, not to dismiss the idea or trajectory, but more just thinking about what I was doing with the paper and that process. She would ask open ended questions to encourage me to come up with the conclusions or to think differently about my work. Then with my professional work and career, Brett Rogers is definitely a pivotal person. She never restricted what I could do. Although I started as her PA I grew into being a project manager and looking after a lot of her off-site programme at The Photographers’ Gallery. It’s something I’m incredibly proud of. It makes me want to push myself even more. All these panels that I’ve been really fortunate to be a part of, and I’ve been invited to be part of; Fast Forward or the Old Girls Club. It’s just, I think, a way of me giving back. I want to be a little bit as inspiring as I’ve been inspired. I want to be able to contribute to those discussions. It’s interesting to hear you say that, I agree, we should want to give back or contribute to the discussions for the younger generation of artists or arts professionals. That actually leads on to my next question, could I ask you about your work with Hemera Collective and the importance of working with others? How did this structure support your practice? Hemera was formed in 2012, and when I was invited to become part of the collective – around me you have five women and we all come from such different backgrounds and practices and research interests. I think there’s always been this common thread that joins us together. We have this mutual respect for one another. It often comes through when we’re working on a project. For example, the Wikipedia Edit-a-thon that we did was part of the Feminist Geekender at The Photographers’ Gallery, but it was a shared process of suggesting female artists or educators or writers that we had all felt. Hemera is a very interesting collective with each of us work full-time. It’s one of those collectives which is similar to my practice, it has peaks and troughs with the way that it flows and creates project. We would make sure that, on a regular basis, we meet up or we Skype with one another. The sense of community in the arts is so vital. It’s not about gaining something from one another, it’s about sharing ideas and experiences. Building a community is so imperative because, actually, the art world is so small. More or less everyone will know someone that you don’t. Then the community grows because you get to meet new people. Our community shouldn’t be for personal gain but more for helping one another. I don’t think that’s a bad thing. This idea of collectives or what a collective can be has come up a few times recently. I don’t think it’s ever been as important as it is now. You have so many artists or young curators coming out of university that are a bit lost. The one thing I always say to them is, look around you, you have so many peers that share a similar interest to you. Why not start something with them? Why not grow that together? Because at the end of the day, there is gain for you both where you can share and give feedback to each other. It’s been so important to me. Honestly, it won’t happen unless you grow together and surround yourself with people that will give you their honest feedback. 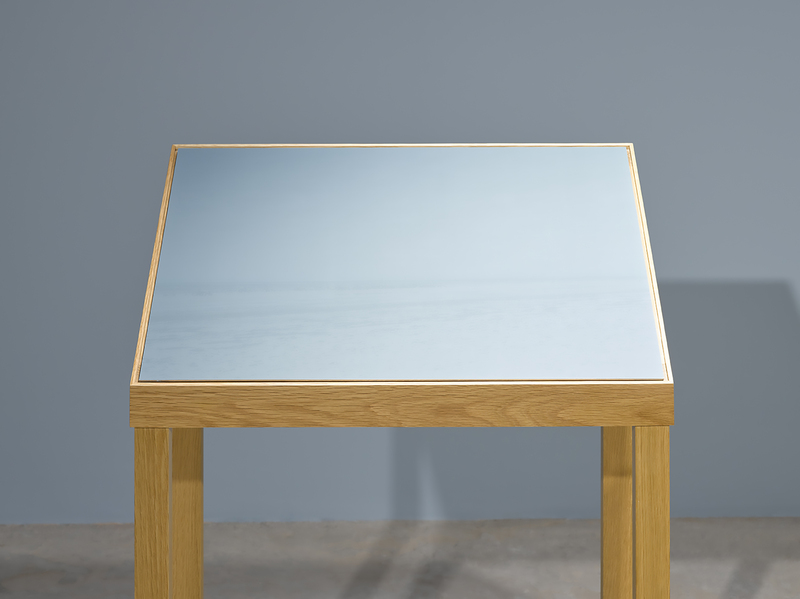 Slideshow image credits: Installation image of white in the sea (2013 – 2018) featured as part of A Shade of Pale at 180 The Strand, May 2018. 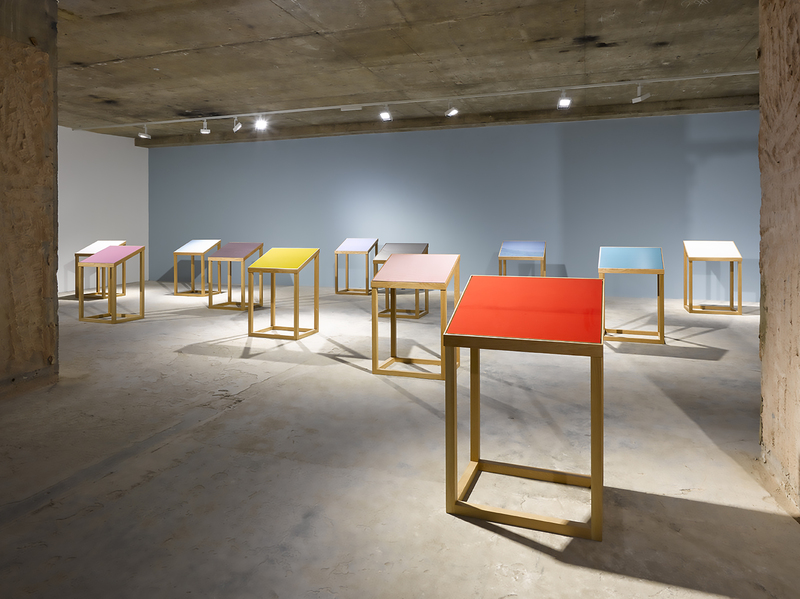 Curated by Carrie Scott; Installation image of Homage to GB (2017) featured as part of the Hyperanalogue Geekender at The Photographers’ Gallery, November 2017. (C) The Photographers’ Gallery. 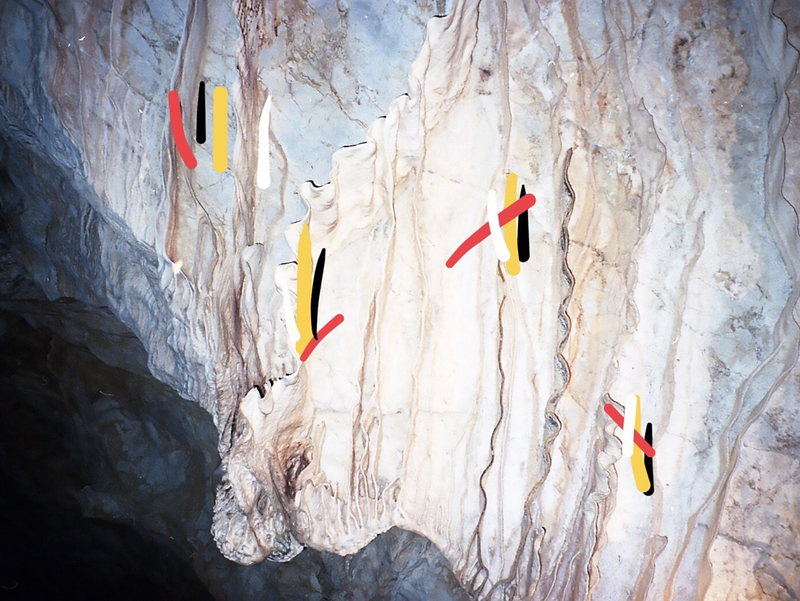 Courtesy of Tim Bowditch; In between paint…, 2018. Digital image with digital paint; Tracing Heritage and Roots through Cultural Transformation, 2010. Series of photographs taken by Bindi Vora and Dhirajlal Harakchand Parekh; In the blue light we failed, 2014. Publication, 145mm x 200 mm. Unique Photographic Print. Edition of 100, Signed and Numbered.